After the recent outstanding moment of inspiration - the creation of Newton dining table - we conceived a console inspired by this exclusive piece of furniture. Once again, we defy the laws of physics and redesigned this monumental console made from aluminium and lacquered in black, with a high gloss varnish. 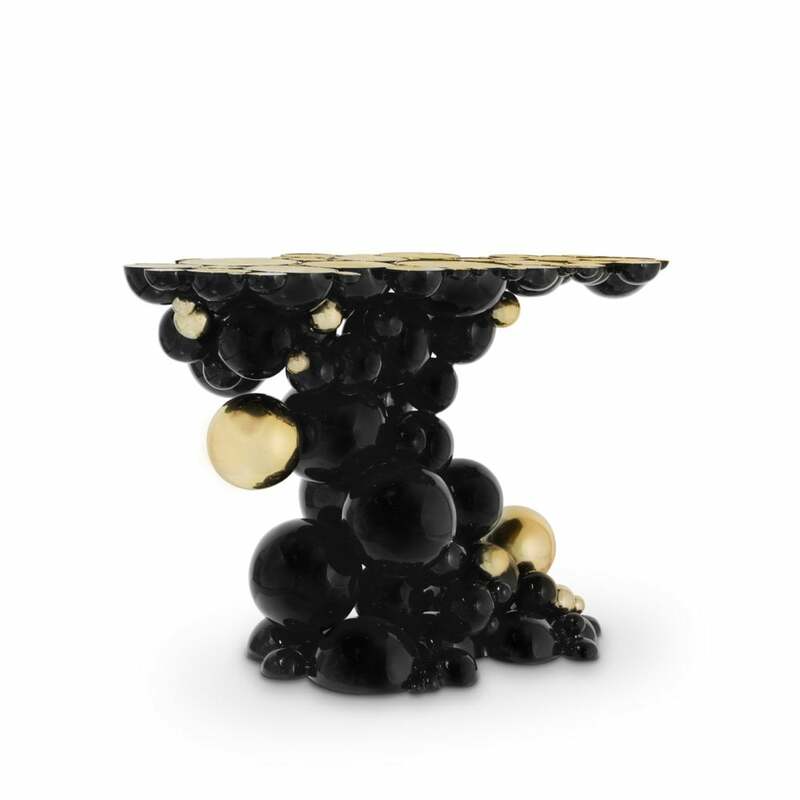 The spheres and semi spheres that complete this futuristic console are gold plated. This intriguing console is ideal for any modern living rooms, bedrooms and hotel lobbies characterized by luxury interior design furnishings.